Our brains are wired to forget, but there are research-backed strategies you can use to make your teaching stick. Teachers have long known that rote memorization can lead to a superficial grasp of material that is quickly forgotten. 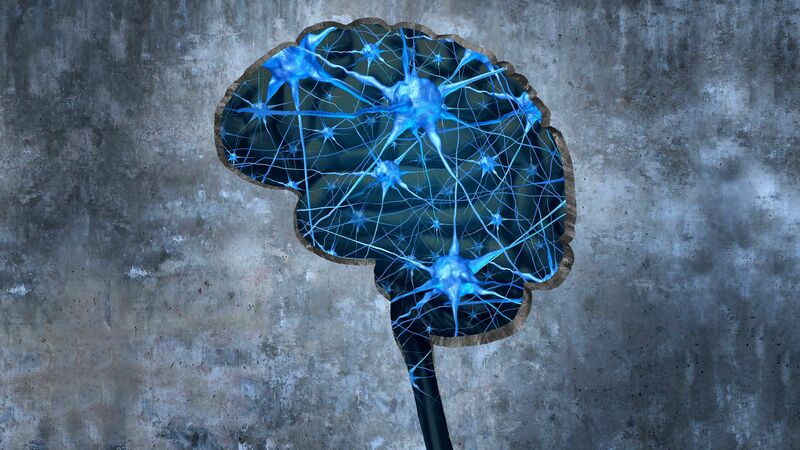 But new research in the field of neuroscience is starting to shed light on the ways that brains are wired to forget—highlighting the importance of strategies to retain knowledge and make learning stick. In a recent article published in the journal Neuron, neurobiologists Blake Richards and Paul Frankland challenge the predominant view of memory, which holds that forgetting is a process of loss—the gradual washing away of critical information despite our best efforts to retain it. According to Richards and Frankland, the goal of memory is not just to store information accurately but to “optimize decision-making” in chaotic, quickly changing environments. In this model of cognition, forgetting is an evolutionary strategy, a purposeful process that runs in the background of memory, evaluating and discarding information that doesn’t promote the survival of the species. We often think of memories as books in a library, filed away and accessed when needed. But they’re actually more like spiderwebs, strands of recollection distributed across millions of connected neurons. When we learn something new—when a teacher delivers a fresh lesson to a student, for example—the material is encoded across these neural networks, converting the experience into a memory. Forgetting is almost immediately the nemesis of memory, as psychologist Hermann Ebbinghaus discovered in the 1880s. Ebbinghaus pioneered landmark research in the field of retention and learning, observing what he called the forgetting curve, a measure of how much we forget over time. In his experiments, he discovered that without any reinforcement or connections to prior knowledge, information is quickly forgotten—roughly 56 percent in one hour, 66 percent after a day, and 75 percent after six days. So what can be done to preserve the hard work of teaching? After all, evolutionary imperatives—which prune our memories of extraneous information—don’t always neatly align with the requirements of curriculum or the demands of the Information Age. Learning the times tables doesn’t avail when running from lions, in other words, but in the modern world that knowledge has more than proved its mettle. The same neural circuitry appears to be involved in forgetting and remembering. If that is properly understood, students and teachers can adopt strategies to reduce memory leaks and reinforce learning. MIT neuroscientists, led by Richard Cho, explain the mechanisms for synaptic strengthening in a 2015 article, also published in Neuron. When neurons are frequently fired, synaptic connections are strengthened; the opposite is true for neurons that are rarely fired. Known as synaptic plasticity, this explains why some memories persist while others fade away. Repeatedly accessing a stored but fading memory—like a rule of geometry or a crucial historical fact—rekindles the neural network that contains the memory and encodes it more deeply. For readers of English, the second set of letters is more memorable—the more connections neurons have to other neurons, the stronger the memory. The seven letters in NPFXOSK appear random and disjointed, while ORANGES benefits from its existing, deeply encoded linguistic context. The word oranges also invokes sensory memory, from the image of an orange to its smell, and perhaps even conjures other memories of oranges in your kitchen or growing on a tree. You remember by layering new memories on the crumbling foundations of older ones. When students learn a new piece of information, they make new synaptic connections. Two scientifically based ways to help them retain learning is by making as many connections as possible—typically to other concepts, thus widening the “spiderweb” of neural connections—but also by accessing the memory repeatedly over time. Peer-to-peer explanations: When students explain what they’ve learned to peers, fading memories are reactivated, strengthened, and consolidated. This strategy not only increases retention but also encourages active learning (Sekeres et al., 2016). The spacing effect: Instead of covering a topic and then moving on, revisit key ideas throughout the school year. Research shows that students perform better academically when given multiple opportunities to review learned material. For example, teachers can quickly incorporate a brief review of what was covered several weeks earlier into ongoing lessons, or use homework to re-expose students to previous concepts (Carpenter et al., 2012; Kang, 2016). Frequent practice tests: Akin to regularly reviewing material, giving frequent practice tests can boost long-term retention and, as a bonus, help protect against stress, which often impairs memory performance. Practice tests can be low stakes and ungraded, such as a quick pop quiz at the start of a lesson or a trivia quiz on Kahoot, a popular online game-based learning platform. Breaking down one large high-stakes test into smaller tests over several months is an effective approach (Adesope, Trevisan, & Sundararajan, 2017; Butler, 2010; Karpicke, 2016). Interleave concepts: Instead of grouping similar problems together, mix them up. Solving problems involves identifying the correct strategy to use and then executing the strategy. When similar problems are grouped together, students don’t have to think about what strategies to use—they automatically apply the same solution over and over. Interleaving forces students to think on their feet, and encodes learning more deeply (Rohrer, 2012; Rohrer, Dedrick, & Stershic, 2015). Combine text with images: It’s often easier to remember information that’s been presented in different ways, especially if visual aids can help organize information. For example, pairing a list of countries occupied by German forces during World War II with a map of German military expansion can reinforce that lesson. It’s easier to remember what’s been read and seen, instead of either one alone (Carney & Levin, 2002; Bui & McDaniel, 2015). So even though forgetting starts as soon as learning happens—as Ebbinghaus’s experiments demonstrate—research shows that there are simple and effective strategies to help make learning stick.